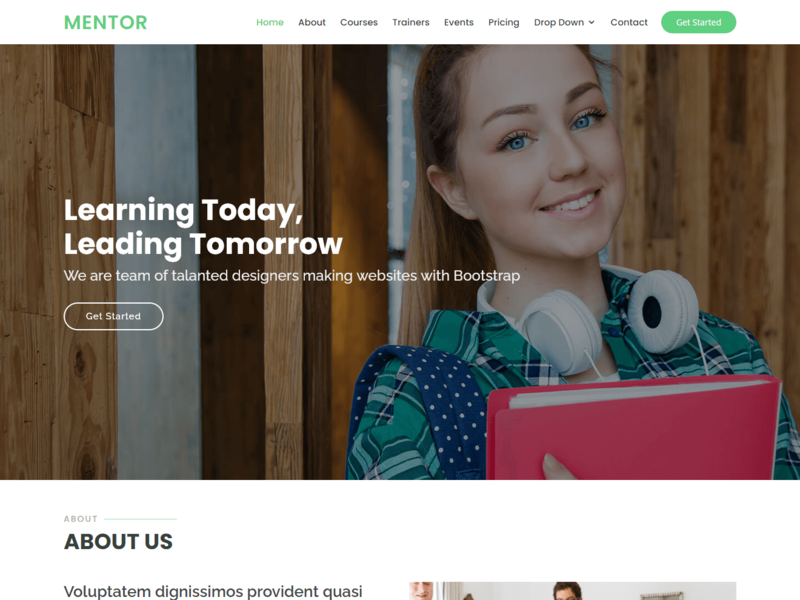 Mentor free HTML5 website template is based on Bootstrap framework, fully responsive and retina ready. This free website template is perfect for any kind of Education, like the University, academy, Campus, School, Primary and any activities related to education. This free bootstrap template looks good on desktop and mobile devices due to its responsive design and retina graphics. Mentor consists of well-organized components that are easy to customize. This free html5 website template also includes different page styles, about, courses, faculties and other pages. This free responsive template having the highest quality of code, extended and easy-to-read documentation, prompt and qualified support are the key features MENTOR is standing out with.